We stopped in for dinner last night. Music was playing out front, and the line was almost to the door. The music and the balloons made for a festival atmosphere. It was the end of a lovely Spring weekend. People were out and about, enjoying the last hours of it. 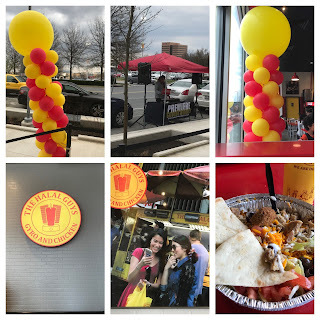 The crowd at Halal Guys was multi-racial, multi-ethnic and a mix of ages. A young woman passed by, walking her dog, looking curiously at the new restaurant. I hesitate to use the word “vibrant” because it has become an almost-mocked buzzword by now. Some think of it as a fancy term thrown about by developers who are trying to sell something. So I’ll just say the atmosphere felt energetic and alive. One interesting thing. Those parking spaces which for years have been the farthest from the Mall are now the closest ones to the new restaurants and shops. Even though each of those two buildings contain public parking garages, there will be some who prefer to park there and cross the ring road. Getting people to yield at the crosswalks is going to be crucial. 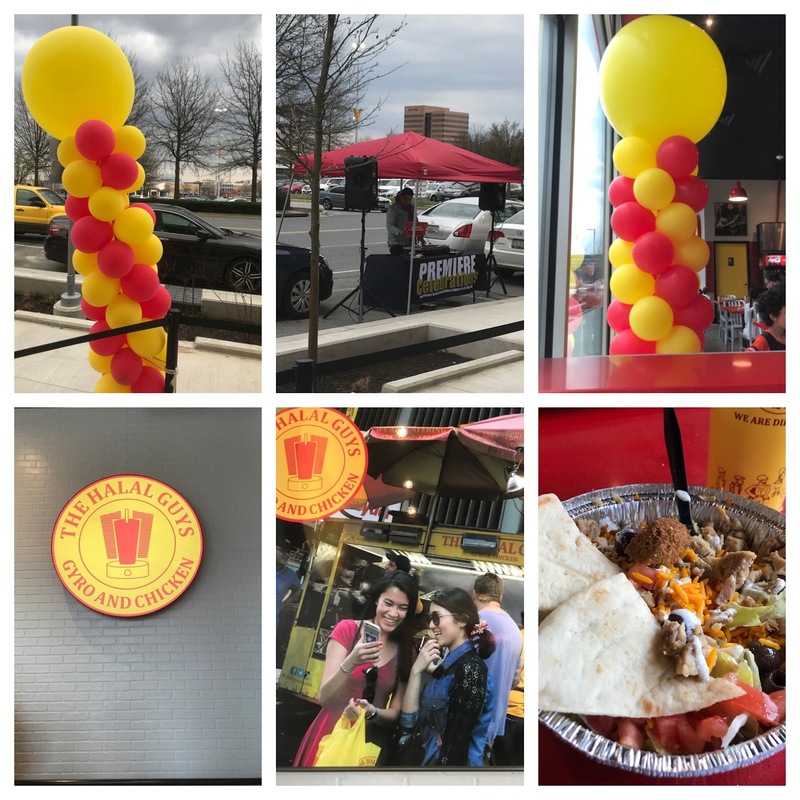 Did you try Halal Guys this weekend? What did you think? Any other new places in town I should visit?